Please take a moment to read our terms and conditions carefully, as they will form the buyer and seller contract we enter into with you. Your statutory rights will not be affected or compromised in any way. In placing an order through this website you are agreeing to be over 18 years of age and are making an offer to purchase subject to these terms and conditions. A binding contract is achieved once we have dispatched an order confirmation by email to you and/or you receive an online order acknowledgement detailing the order. Each order will be deemed a separate contract. Orders placed through this website by consumers (not trade or businesses) are protected by The Consumer Contracts (Information, Cancellation and Additional Charges) Regulations 2013 (as amended) and the Electronic Commerce (EC Directive) Regulations 2002. This gives the consumer the right to cancel the contract within fourteen calendar days from the day of delivery of the goods or fourteen days after you get the last item. You may cancel the contract in writing by e-mail , fax or letter (please see our Contact page) and you must keep evidence that you have done so. You must return the goods to us in line with the terms stated under the main sections 2 & 3 of this notice, that includes you paying to send the goods back to us and retaining proof of delivery. You are entitled to a refund within 14 days of the notice of cancellation. Orders placed through this website by businesses of whatever identity are subject to those contractual provisions noted within these terms and conditions. If we fail to enforce one or more of our terms and conditions, we do not lose our right to enforce any of those remaining. The laws of England will govern any contract between us and any disputes will be resolved exclusively within the courts of Birmingham, England. Orders can only be taken through our website for delivery to UK and Northern Ireland. Orders to EC countries may be taken at the discretion of the company (Handlestore Ltd) but special conditions apply - please apply to customersupport@handlestore.com for details of special terms and conditions that apply in this instance. Products must not be used or exported into countries outside the European Union for any reason whatso ever or by a customer acting as an agent/intermediary for a third party. Any goods delivered should be fully inspected upon arrival to ensure their condition, type and quantity and you should inform us immediately of any shortage, error or damage. Damage to outer packaging and cartons should be reported to the carrier at the time of receipt - see item 4 - Goods that have been damaged during delivery (carrier). Items received as faulty must be advised to Handlestore Ltd and suitable returns will be arranged either using Freepost or a carrier collection. Under no circumstances must the customer send back faulty goods without prior authorisation as Handlestore Ltd will not be responsible for their return or any costs incurred by the customer. The customer can only be refunded up to the full value of the order. To inform us of any goods that are faulty, damaged or not required please contact us using the email address: customersupport@handlestore.com or write to Handlestore Ltd, 18 Empire Industrial Park, Aldridge, Walsall, WS9 8UQ. All returning goods must be issued with a returns number and reach us within 28 days of the date of sale (inclusive of the date of sale). Please ensure goods are signed for at the returns delivery address as this will act as your proof of delivery. You do not need to give us a reason if the goods are not required but please ensure that you inform us of your wishes by email, letter or fax to request a returns number and then ensure goods returned reach us within 28 days of the date of sale (inclusive of the date of sale) - does not apply to orders from businesses over £750.00 net value. The original product packaging can be opened but the products must be unused. The issued returns number must be clearly marked on the outer packaging. Goods should be returned and reach us within 28 days of the date of sale (inclusive of the date of sale). A signed for service should be used as proof the goods have been returned. · Costs of return carriage are payable by the customer and goods can be returned through any Royal Mail Post Office. An on-line refund will be made against your order transaction to cover the charge made for goods, but not including any carriage costs unless notice to cancel the contract is received within the 14 days from receipt of goods (applies to consumer sales only). If part of the order is returned and the remaining value of the order takes the order below £35 net a carriage charge will be deducted from the refund of the goods returned commensurate with the charges shown on this site for carriage. Orders sent initially with free of charge delivery will receive a refund less the postal charge applicable at the time of order unless notice to cancel the contract is received within the 14 days from receipt of goods (applies to consumer sales only). If part of the order is returned and the remaining value of the order takes the order below £35 net a carriage charge will be deducted from the refund of the goods returned commensurate with the charges shown on this site for carriage. In instances where the customer refuses a parcel at the time of delivery or cancels the order once despatched and during transit, the charge made by the carrier to return the parcel will be deducted from the customers refund. Details available on request. Orders returned from businesses over the value of £75 net will be charged a re-stock fee of 10% of the order value or 20% if the order value is over £200 net. We regret that orders from businesses over £750.00 net cannot be returned for any reason in part or full unless agreed by senior management (this could take the form of a credit note at the discretion of senior management). We regret that special order items i.e. keyed alike door locks cannot be returned for a refund or exchange as these are made bespoke to order. This applies to extra keys cut for either standard off-the-shelf cylinders or keyed-alike. Special offer goods that are offered at a reduced rate when purchasing other designated products will be charged at the normal rate if not returned with the correct item. Part orders returned where discounts have been applied to quantity sales will be refunded at the appropriate rate commensurate with the quantity retained by the customer. This also includes delivery charges where the order was free of delivery charges initially. Special postal/carrier services chosen by the customer i.e. Saturday delivery, Eire delivery etc cannot be refunded. Please ensure that any damaged packages are rejected at the time of delivery and a receipt obtained to confirm such from the carrier. We cannot accept liability for carrier damage without evidence and a record from the carrier. Please ensure that you contact us to report the incident within 24 hours by email or telephone. If you accept the parcel from the carrier you accept that the goods were delivered without damage during delivery. If you leave authorisation for delivery you also accept liability that the parcel has been received without damage. We will only send out replacement goods after confirmation has been received by the carrier and the damaged goods returned to us. You must inform us within 14 days of receiving the goods, by email or letter, if you wish to claim a refund or replacement. The above procedures for Returns, Refunds and Replacements (Section 2) will apply. instructions given under 'Guarantee' below. 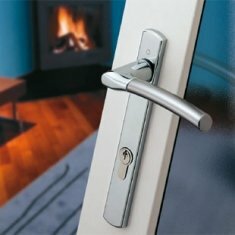 Keyed-alike door cylinder sets are specially made to the customers size and colour requirements. 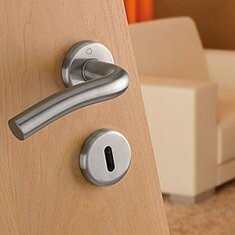 Extra keys cut for cylinder and thumbturn door locks whether keyed alike or off-the-shelf size locks. Carriage services that are classed as special order are part non-refundable (less the difference from UK standard rates published under Delivery). You must notify us within 14 days of receipt, by email or letter, if an order is incorrect or incomplete. packaging. We will supply a pre-paid return label upon your initial instruction to return such goods. We reserve the right to charge you for any goods delivered in error in instances where appropriate guidelines have not been followed. Goods are sold subject to availability. If we do not supply the goods for any reason we will not charge you for these goods or a full refund will be made to you. We will not be responsible for compensating you for any other losses that you may suffer if we do not supply goods. If goods are not in stock they will be placed on a back-order and a new delivery date will be informed in due course. There will be no additional charge for delivery of backorders. If your products are in stock they will generally be despatched the same working day provided the order is received before 3:00pm (Mon-Fri), otherwise we expect to deliver within 10 days. Special orders may be extended in some cases and you will be advised when ordering if this is the case. If your order has not been dispatched within the ten-day period, and we have not confirmed an exact dispatch date in this time, we will contact you again by email at this time to update the delivery position. Delivery is within the UK and Northern Ireland. If you are located outside of the UK and Northern Ireland we are unable to deliver. ** Royal Mail First Class Recorded Service will be used for the following destinations: Northern Ireland, Channel Islands, Isle of Man, Isle of White, Scilly Isles, Scottish Highlands, Scottish Islands and all other offshore Islands. We cannot be held responsible for failure to deliver the next working day during peak seasonal trading periods, periods of industrial action, natural disasters or in areas of extreme weather or other outside influences that may affect delivery. The following carriage rates apply(subject to change). It is not usually possible for us to arrange delivery on a UK bank holiday. If a delivery is likely to be delayed outside of the normal 28 days we will email you to arrange a convenient delivery date. It is the responsibility of the person placing the order to ensure that the order can be received. If our carrier is unable to leave the parcel safely a card is left giving details of how to arrange re-delivery (dependent on local delivery service) or where to collect the parcel from locally. In the case of DPD you have 3 days to re-arrange a delivery from receipt of a card before the order is returned to Handlestore. Handlestore's responsibility for delivery ends once the first delivery attempt is made. The customer takes full responsibility for loss or otherwise of any delivery made where the customer stipulates special shipping instructions for delivery in their order. Customer comments within the cart/checkout process are for use by the delivery driver and cannot be used for any other purpose, as such notes remain unchecked. If a delivery is returned to us for what ever reason a charge will apply for the carriage to return the package (this also applies where the customer refuses delivery or cancels the contract after despatch) and to re-send the parcel back to its destination. The charge applied will depend on the carriage charge in force at that time. In the rare event that the parcel does not turn up our carrier will classify the parcel as lost (this does not include attempted deliveries that have not been collected or re-arranged deliveries or deliveries where a signature has been obtained at the destination address). We will then instigate a claim against the carrier and in the case of Royal Mail they will write to you and ask that you sign to state the order/items have not been received. Upon Royal Mail receiving the signed document back from you we will re-send items to you. Royal Mail may also extend the period of 15 working days for lost parcels in the case of strike action by their employees and in this eventuality the time taken to adminster claims will similarly be extended. If you require the missing items in the meantime you will need to place a further order for the items and upon receipt of the signed declaration from Royal Mail we will refund that replacement order for the same items and any postage that may be applied. If the signed declaration is not received or Royal Mail reject the claim for lost goods we will not refund or re-send such items. Ownership of goods transfers to you once we receive payment in full for the goods along with any associated delivery charges. You will become responsible for the goods at the time of the first attempted delivery. We reserve the right to change prices, without prior notice, to reflect any alterations made by our suppliers, changes in taxation or the addition of duties. If prices shown on the web have been misrepresented or are incorrect in any way you will be informed of the correct price and given the right to amend or cancel your order. If we have already delivered the goods then you have the right to return the goods and receive a full refund of the price along with any delivery charges. Prices shown are exclusive of value added tax (VAT) unless otherwise stated or chosen. The applicable VAT rate at the time will be added to all items in your order. Payment is required at the time of ordering in UK pound sterling. Special offers represented on the site cannot be used as part of any other offer or coupon discount. Special offer discounts are applied to prices net of P&P and VAT. Bulk discounts applied to handed handles are per hand. Handlestore shall not be liable, in contract, tort or otherwise, for any representations, advice or assistance given (under this contract or otherwise, and whether before or after the date of the contract) by or on behalf of Handlestore Ltd in connection with the goods or the contract. The customer shall indemnify Handlestore Ltd against any liability incurred by Handlestore Ltd in relation to any third party claims arising from the use made of or dealings by the customer in the goods (irrespective of whether they involve the negligence of Handlestore Ltd, its agents or employees). Handlestore’s total aggregate liability in connection with the goods or the contract (in contract, tort or otherwise and whether or not related to any negligence or other act, default or omission of Handlestore Ltd or its employees or agents) is limited to the invoice price for the goods, ex-works and ex-VAT. In no circumstances whatsoever shall Handlestore Ltd be liable (in contract, tort or otherwise and whether or not related to any negligence or other act, default or omission of Handlestore Ltd or its employees or agents) for any indirect or consequential losses (including loss of goodwill, business or anticipated savings), loss of profits or use, or any third party claims, in connection with the goods or the contract. Where the customer suffers loss attributable to a component part of the goods which was manufactured by a third party, Handlestore Ltd shall endeavour to pass onto the customer any warranty it obtained in respect of the same. Save as expressly provided herein, Handlestore Ltd will have no further or other liability in respect of any direct or consequential loss or damage sustained by the customer, arising from or in connection with any defect, failure or error in the goods and all other warranties, obligations, representations, liabilities, terms and conditions (whether express or implied) in connection with the goods (including, without limitation, any relating to satisfactory quality, fitness for purpose, conformity with description or sample, care and skill or compliance with representations, but excluding implied statutory warranties relating to title) are hereby expressly excluded. Nothing in these terms shall exclude or restrict any liability that Handlestore Ltd may have by virtue of any updated Consumer Protection Act or Distance Selling regulations that may apply. In the event that our web site may contain inaccuracies or errors we will not accept any liability for such incorrect information or its representation and neither shall any element of the site prove conditional or construed under a warranty representation. We reserve the right to change or update information without any prior notice. Manufacturers sizes may vary by tolerances conducive to the manufacturing process used and we cannot be held responsible for any such discrepancies or tolerances to those sizes published. Any goods purchased that are unsuitable, based on incorrect information published on our website, can be returned within 28 days for a refund. We cannot be held responsible for manufacturers changes to specifications or updates to models. Customer Review star ratings are based on the current rating as determined by Feefo, an independent and affiliated third party. Where a manufacturer supplies a guarantee specific to the product you have purchased, we will contact the manufacturer directly in the event of product failure. 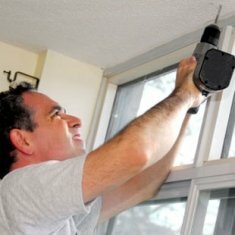 Guarantees shall not apply to any part which has been incorrectly fitted, adjusted or operated, or any part which has been subjected to operating forces or any climatic conditions such as coastal or high pollutant areas beyond the normal recommended levels as supplied and tested by the manufacturer. Surface finishes are not guaranteed unless provided by the manufacturer in the form of resistance coatings such as PVD and these are shown where applicable. Goods must be returned to us for evaluation of any mechanical defect and this may involve the manufacturer at our discretion to determine the cause of the problem. Goods that have been subject to excessive wear and tear or accidental damage will not meet the terms of any guarantee. 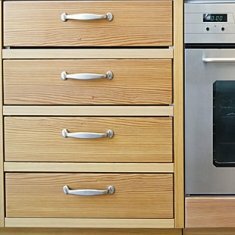 In most other cases we will replace goods that are faulty due to mechanical defects within six months of delivery, however replacement will be entirely at our discretion. 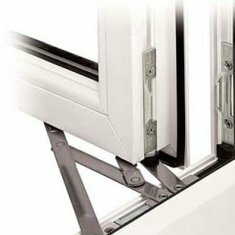 In the case of failing door locks we reserve the right to have an independent assessment carried out to ascertain the cause of such problems. If it is found that the cylinder is not at fault we cannot replace or refund the item/s and a call out charge may apply for 3rd party costs (charge amount to be agreed by the customer). Customers must inform Handlestore Ltd straight away and in any case within 24 hours that such problems exist and no attempt must be made to destroy the product in any form without written authorisation from Handlestore Ltd.
Products made from brass are not guaranteed against tarnishing unless coated with PVD and no finish guarantee exists for chrome plated or other finishes on products unless stipulated by the manufacturer otherwise. This does not in any way affect your statutory rights. 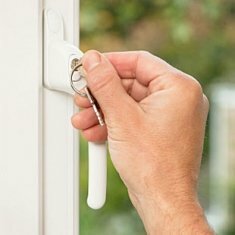 Mechanical guarantees offered on window hinges, uPVC door handles and uPVC letterboxes are the subject of 10 year mechanical guarantees for products purchased from 1st December 2011 and are subject to the terms and conditions provided by the manufacturer and are subject to change without notice. Such mechanical guarantees apply to Paddock Welseal letterboxes, Securistyle Defender window hinges, Hoppe uPVC door handles. 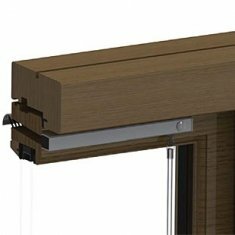 Millenco Magnum cylinders that have become Yale Magnum locks are the subject of 10 year mechanical guarantees from the manufacturer Yale from the 23rd october 2012. 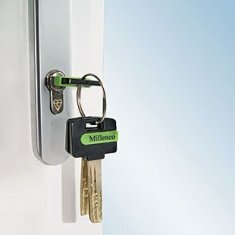 Lifetime mechanical manufacturer guarantee exists on Millenco Magnum locks only prior to this date. Handlestore Ltd registers all of its work on a regular basis to ensure all images, logos, layouts and text are protected. Our work is registered with the UK Copyright Service registration number: 259461 and is protected by UK and International Copyright Law. It is our policy to use the law to its fullest extent in instances where permission has not been sought to reproduce any of our copyrighted material shown on this website or through third parties or other mediums. By entering our site you agree that all email communication by us to you is provided in good faith and we cannot be held responsible for any errors or omissions. Further our opinions expressed in emails or any attachment may not necessarily represent the views of Handlestore Ltd and email comments and any files transmitted with it are confidential and contain privileged or copyright information. You must not present our email message to another party without gaining permission from the sender. If you are not the intended recipient you must not copy, distribute or use our emails or the information contained in them for any purpose other than to notify us. If you receive any messages in error, please notify the sender immediately, and delete our email from your system. We do not guarantee that our material is free from viruses or any other defects although duecare has been taken to minimise the risk.